On the Longest Day (21 June) of the year, the Dublin Simon Community are calling on the public to make a sacrifice for one day and help those experiencing homelessness. The charity are asking people to raise a euro per hour for the item they give up. People can also challenge a friend, family member or colleague to sacrifice something they love for one day. 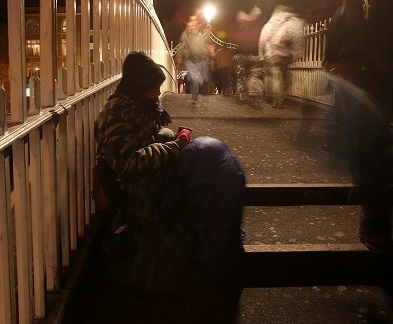 Latest homeless figures, which were recently released by the Department of Environment, show that; over 2,700 people are still stuck in emergency accommodation in Dublin City alone. The number of families increased by nearly 3% from 888 to 913 on a month on month basis. While the number of children in the capital continued to rise form 1,786 to 1,847 for the same period. In the last Rough Sleeper count (April 2016) 102 people were counted as sleeping rough, plus 69 people attended the Merchants Quay Ireland’s Nite Café on the night of the count. The #SimonLongestDay campaign is asking people to go without a daily comfort or pleasure for just 17 hours. People can choose to give up anything they wish today (21 June) or challenge someone they know to live without something they love. It could be that morning coffee on the walk to work or contacting your friends on social media on your smart phone. The Dublin Simon Community are asking people to raise a minimum of €17, one euro for every hour of daylight during Ireland’s longest day of the year. These vital funds will support our life saving homeless services. using the hashtag – #SimonLongestDay on 21 June.